Terence O’Neill, then Northern Ireland Prime Minister, announced the dissolution of the Stormont parliament and the holding of an election on 24 February 1969. 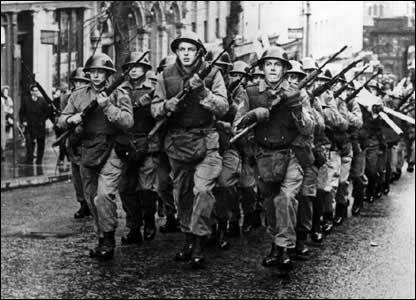 There were a series of house searches by the British Army (BA) in Catholic areas of Belfast. Serious rioting and gun battles took place during the searches. A Catholic civilian was shot dead by Loyalists at his cafe in York Street, Belfast. A member of the Irish Republican Army (IRA) was shot dead by the Ulster Defence Association (UDA) in the New Lodge area of Belfast. Two Loyalists were detained, and then subsequently interned (5 February 1973), because of their alleged involvement in the killing of an innocent Catholic man. Following their arrest a crowd of approximately 2,000 marched in protest to the Castlereagh Royal Ulster Constabulary (RUC) station to demand the release of the two men. 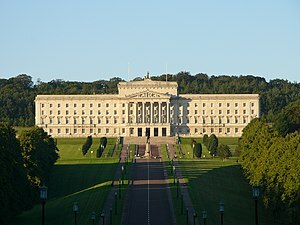 The Constitutional Convention was reconvened in an attempt to reach agreement on a constitutional arrangement for Northern Ireland. A series of inter-party talks were held over the next three weeks and these were chaired by Robert Lowry. Joseph Morrissey (52), a Catholic civilian, was found stabbed and with his throat cut on the Glencairn Road, Belfast. Members of he Ulster Volunteer Force (UVF) gang known as the ‘Shankill Butchers’ were responsible for the killing. 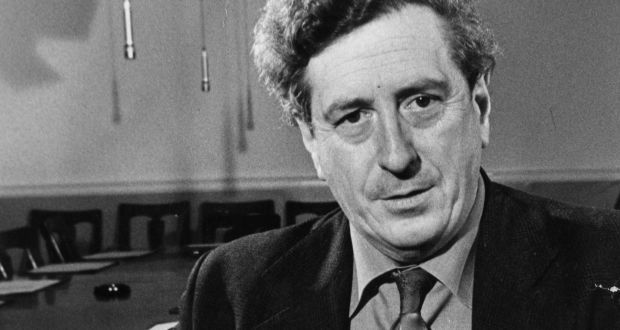 Garret FitzGerald, then Taoiseach (Irish Prime Minister), said that the proposed meeting between John Hume, then leader of the Social Democratic and Labour Party (SDLP), and the Irish Republican Army (IRA) would be used by Republicans for propaganda purposes. Charles Haughey, then leader of Fianna Fáil (FF), supported Hume. The Irish Republican Army (IRA) carried out a ‘proxy bomb’ attack on a Ulster Defence Regiment (UDR) base in Magherafelt, County Derry. A man, who was employed by a company that carried out work for the security forces, was forced to drive his van containing a bomb, estimated at 500 pounds, into the UDR base. He managed to get away from the vehicle before the bomb exploded. The bomb caused extensive damage to the UDR base and also damaged approximately 50 nearby houses. The Irish Republican Army (IRA) carried out two bomb attacks in London. The Anglo-Irish Intergovernmental Conference (AIIC) held a meeting in London and decided to issue invitations to the political parties to attend bilateral talks. Mark Sweeney (31), a Catholic civilian, was shot dead by the Ulster Freedom Fighters (UFF), a cover name (pseudonym) used by the Ulster Defence Association (UDA), on the outskirts of Newtownards, County Down. The Ulster Volunteer Force (UVF) carried out a gun attack in west Belfast on a minibus used by relatives of Republican prisoners. The driver of the minibus and a woman passerby were both injured in the attack. The Irish Republican Army (IRA) planted a small Semtex bomb outside the home of an Royal Ulster Constabulary (RUC) Assistant Chief Constable in Derry. On his return to Ireland from the United States of America (USA) Gerry Adams, then President of Sinn Féin (SF), was confronted in Dublin airport by a protest by victims of IRA violence. Adams said that he thought this was “the final phase” of the conflict. Results from the 1993 Labour Force Survey showed that Catholics remained twice as likely to be unemployed as Protestants. It was reported in the Irish Times that Members of Parliament (MP) from the Ulster Unionist Party (UUP) had met representatives of the British Foreign Office to complain about the frequency of visits by Mary Robinson, then President of the Republic of Ireland, to Northern Ireland. They also expressed concerns about breaches of protocol and distinctions between ‘official’ and ‘private’ visits. David Trimble, then leader of the Ulster Unionist Party (UUP), published his reply to a letter from Gerry Adams, then President of Sinn Féin (SF), requesting a meeting between the two parties. In his reply, in the form of a statement to the Irish Times (a Republic of Ireland newspaper), Trimble set out a number of conditions for meeting with Adams. There were disturbances in Prortadown, County Armagh, when approximately two hundred loyalists clashed with Royal Ulster Constabulary (RUC) officers. The Belfast Telegraph (a Belfast based newspaper) contained a report that the North Ulster Unit of the Ulster Volunteer Force (UVF) had brought new weapons into Northern Ireland. The report also claimed that the Continuity Irish Republican Army (CIRA) had also obtained new weapons. At the trial of four men for the murder of Jerry McCabe, who was a Detective in the Garda Síochána (the Irish police), the charges were changed from capital murder to manslaughter, to which the four men pleaded guilty. There was widespread criticism at the development from politicians, Gardaí, and members of the public. Bertie Ahern, then Taoiseach (Irish Prime Minister), said the men would not benefit from early release under the Good Friday Agreement. There was a pipe-bomb attack on a public house in the village of Whitehead, County Antrim. Customers escaped injury after the device failed to explode when it was thrown through a window. A pipe-bomb explosion in north Belfast came close to killing an entire family. Two parents and their three children escaped around midnight when a fire caused by the explosion gutted their house in the New Lodge area of north Belfast. The attack was carried out by Loyalist paramilitaries. The was a ‘Bloody Sunday’ commemoration march in Derry to mark the 30th anniversary of the events in the city on 30 January 1972. British Army paratroopers shot dead 13 people and injured another 14 during a civil rights march in what became known as Bloody Sunday. An estimated 30,000 people took part in the march through the Creggan and the Bogside areas of the city to a rally at ‘Free Derry Corner’. There were representatives from the main nationalist political parties, and people had travelled from throughout Ireland, Britain, and America to take part. Up to 400 members of the Ancient Order of Hibernians (AOH) from different cities in the United States of America (USA) also took part in the march. Representatives from political parties in Northern Ireland were present at the World Economic Forum in New York, USA. During a discussion session Gerry Adams, then President of Sinn Féin (SF), said that he did not want to force Unionists into a united Ireland without their consent. Shot at his cafe, York Road, Belfast. Abducted while walking along Donegall Street, Belfast. Found stabbed to death a short time later, near the community centre, off Forthriver Road, Glencairn, Belfast. From Northern Ireland. Died 5 days after being shot, during armed robbery at supermarket, Killygordon, County Donegal.